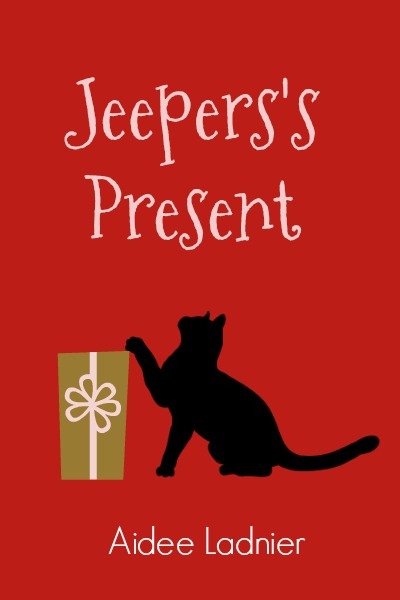 Forbes found Jeepers beneath the Christmas tree, batting at a small package wrapped in bright red foil. A tiny silver bow atop the gift almost hid the penciled name of its intended recipient. When Forbes entered, the little cat robot backed away, his black tail with its white tip slapping back and forth in a frenzied blur. “There’s a box with my name on it under the tree.” Jeepers’s high, sing-song voice cut into his thoughts. “Hmmm?” Forbes swiveled his chair around to face the cat robot, who circled the tree before staring up at Forbes. Jeepers’s synthetic whiskers trembled. Forbes sat back. Ah. It was the anomaly that puzzled the little robot. “You can thank the munchkins for that. They’ve been working on it for the better part of a month.” With Oliver’s help, and a little of his own. Mostly Oliver’s though, because they had insisted Forbes was too wired to the house not to give it away. The little cat twitched a black ear and slunk back over to the tree to poke at the box again. Copyright 2015. Aidee Ladnier, all rights reserved.